I'm not in the club, but I have a question for you guys: I assume most of you have also played the "lower" models of Tokai. Is there still a big upgrade in tone compared to what's today the LS-160? Or is it more about nicer wood and finish? Yes it is in my opinion,it?s another way of building,I can feel that,at least on mine,different wood and more resonant unplugged.Every step up, has been an upgrade.There could be exceptions to the rule but I did not found them. Mmmm thanks. Interesting. Sometimes I wonder if this fixation on rare Honduras / Brazilian woods is more about marketing than tone, but I can't speak from experience. What started me thinking along those lines was a recent thread on thegearpage started by Terry McInturff (guitar builder) where he asked forum members about their opinions on a 2-piece vs. 1-piece back. He was saying that it's increasingly hard to find good slabs of Honduran mahogany large enough for a one-piece back, but that he still can get plenty of good-quality slabs large enough for a 2-piece back. He's also of the opinion it would not matter with regard to tone but was afraid the market simply wouldn't accept it. I suspect that a talented builder could seek out superb African mahogany that's better than what's left of the Honduran (especially at high volume), and build better guitars from it, but good luck getting people to pay 4-5k USD for it. Anyway, not to derail your thread. Like I said, I haven't played these guitars. Some day I'm sure! I?m talking about Tokais I own or owned. I agree Terry McInutrf opinion about a talented luthier(like him) can build a great guitar with sapele/african mahogany,the same it?s happening to classic guitars from spanish luthiers.The man at Tokai choosing the mahogany for my guitar knew what and why,it?s a pretty board with great grain. I saw that thread Brazen. Of course Terry is more than capable of delivering the goods with a 2 piece body. Terry or anyone else, for that matter. It's no big deal if you choose two pieces with similar characteristics. But it's a whole different matter when you change the species of the wood. Regardless of the quality, the African mahogany and the Indian rosewood have different properties than that of Honduras and Brazilian. African is more dense, with more mineral content, that alters the tone and the balance of the instrument. Indian has a more open pore and less oil content than Brazilian, that dramatically affects the feel of the board while playing. On top of that, the tonal qualities of the two rosewood species are worlds apart. 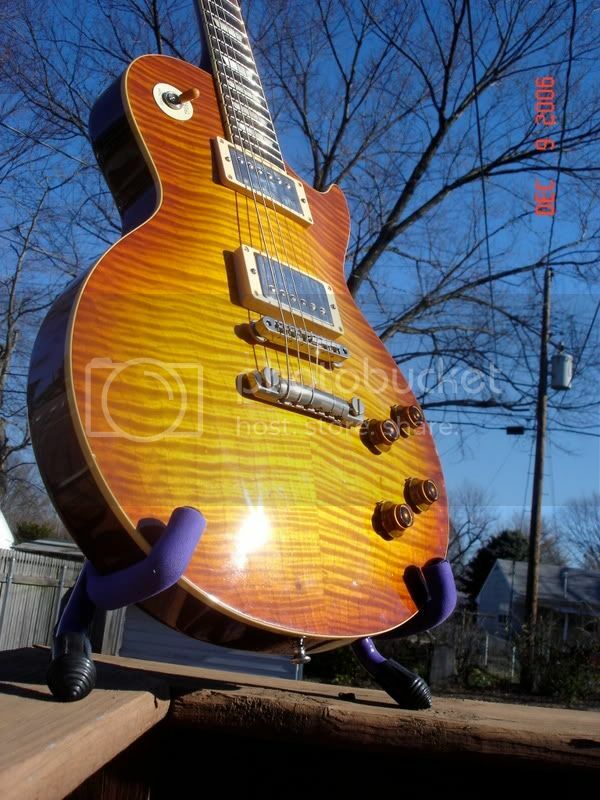 Anyway, as a personal opinion, when I'm paying $4000-$5000 for an electric guitar, I expect to see certain aesthetics standards, and having a one piece body is one of them. I?ll try to upload a pic of my LS320 later and talk about it a bit. 2005 LS320. Last year of production as LS320. 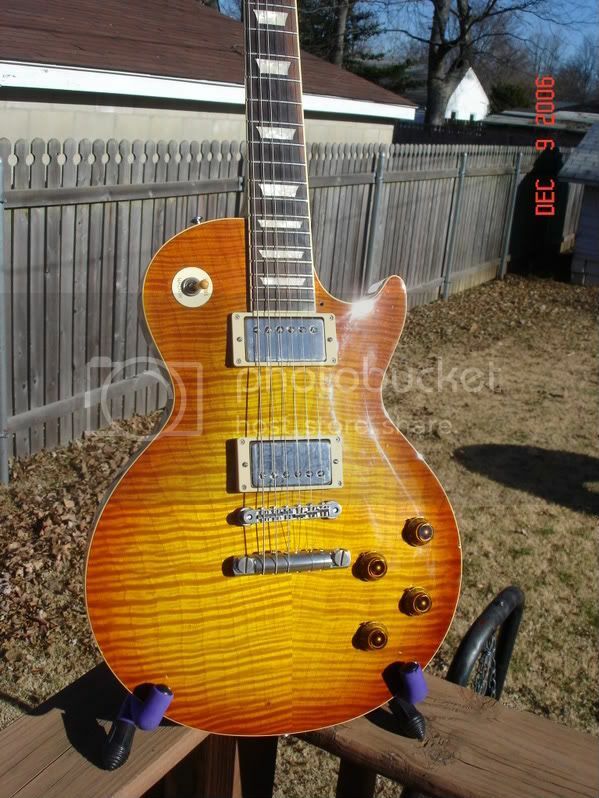 No fret edge binding as per 2005 specs (it became a custom option). Stock Seth Lovers pickups. Luis suggested me a couple of alternatives, but the guitar sounds so ashtonisingly good with the stock ones, I haven't feel the urge to change them yet. Sprague Black Beauties 0.33 PIO capacitors for both neck and bridge. All the electronics were made using cloth wiring. 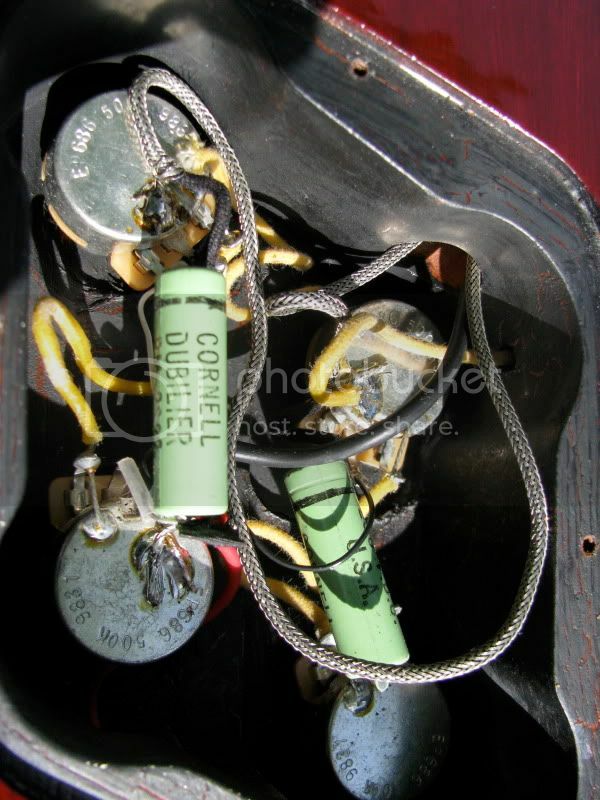 No "320" or "LS320" stamp inside the neck pickup cavity. I don't have a scale at home, but would say it weights 9 lbs, give or take a couple of ounces. It doesn't have one of the fanciest tops or figured boards I've seen in other LS320's (the pic does a good job in catching the flame, but it is far less obvious when you look at it from the front), but in turn the fit and finish is just superb. The inlays are perfect, on the contrary of many other LS320 I've seen. I think that's it. So it's your turn guys! Nice 320s. They seem so wonderfully flamey compared to my daft idea. On tonewoods, etc... I'm a firm believer that if you crank up your pedal and/or amplifier distortion, then you completly mask the character of whatever wood and construction your LP has. Crank it up enough and you can mask other stuff, too (pickups, etc). With a nice medium-gain vintage amp (Tweed Deluxe, JTM, 18Wer, etc), then there are differences with the older/better woods and pickups. That's where the LS-320 (and similar) guitars shine. So... if you like to pile on the gain, an LS-320 isn't necessary, and probably isn't good value for money. I agree, the differences between a good LP and a great LP are most noticable on a medium gain setting on a quality valve amp, that's where the biggest differences can be heared, and that's where all the classic recorded Les Paul sounds can be heared. 2003 LS-320VF. I've had an absolute love affair with this guitar since I was lucky enough to snag it 3 or so years ago. You're a brave man propping it up on the edge of your rail like that. Lovely guitar and very nice pictures. 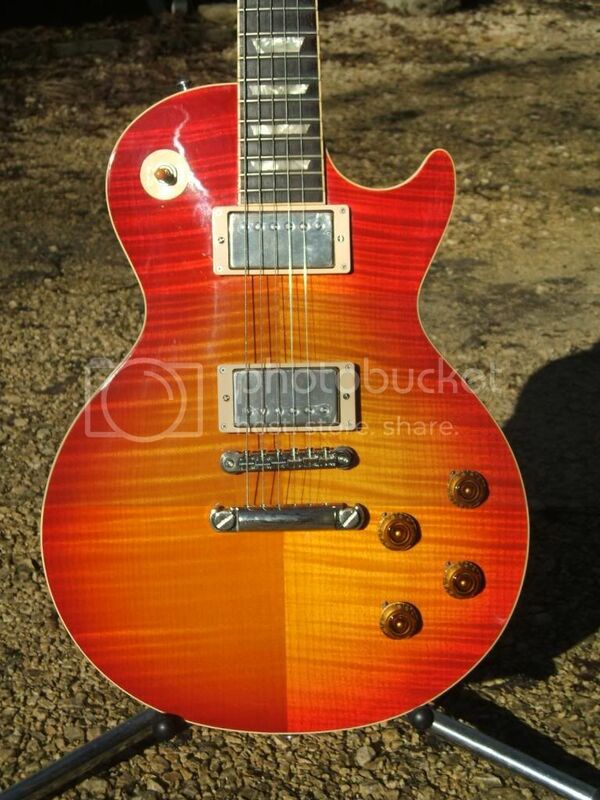 Beautiful burst finish and top on that one! Care to talk a little more about it? Pickups, hardware, electronics, etc. I noticed you also have it drilled for a pickguard. Did you do that or was one previous owner? Heck yeah, I'll talk about it as long as there is someone to listen. You are right, it is drilled for a pickguard, but not by me, I would have left it alone. To make matters worse, whoever did the drilling used a much too large screw, so the hole is much bigger than it needs to be. It weighs right at 9 pounds. It is by far my easiest playing guitar with very low action & no buzzing. I'm not good at describing tone, but to me it's a very clear sounding guitar that maintains it's clarity even with a moderate amount of crunch. Plugged into a 50W Marshall, it is everything anyone could ever hope for in delivering that classic 60's/70s rock tone. A couple of months back, I bought an 06 LS-165 (currently the LS-260) so that I could compare the 2. The 165 is in the Premium line, but differs in wood (not Honduras Mahogany), Fretboard (Indian Rosewood instead of Barzilian), finish (poly w/ a lacquer topcoat vs. all lacquer) and pickups (MKII vs. Seth Lovers). 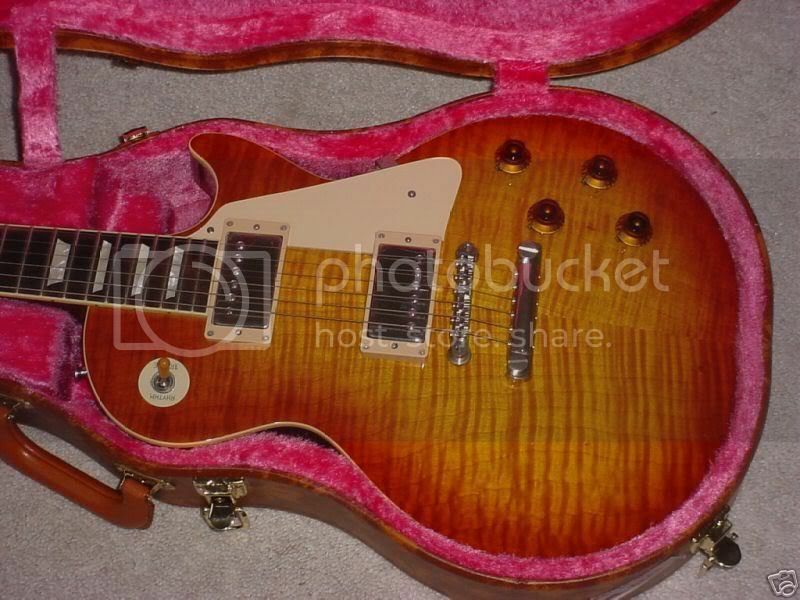 The 165 was a great guitar in its own right that I would put up against almost any other Les Paul. However, for the type of music I play, it didn't sing to me like the 320. I traded it for something else, and the current owner is very happy. But the 320 is just on a different level. I usually swap the pickups in my guitars, but can't find an excuse with this one. They are so damm nice and balanced. Obviously the guitar plays a major role in that. Mine was also drilled for a pickguard by a previous owner, unfortunately, but thankfully the hole isn't too obvious. Nice guts shot by the way. Anyone knows how many different caps have Tokai used over the years on the 320's?